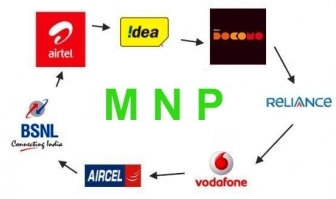 Indian Telecom Minister Kapil Sibal announced 'National Mobile Number Portability (MNP) is expected to be rolled out by February 2013' at the India Telecom 2012 in New Delhi . It will allow mobile users to retain their numbers even if they move from one state/Telephone circle to another. Currently, a user is allowed to switch to a different operator within his/her State/circle, while retaining his/her phone number. Under NTP 2012, the government had envisaged implementing MNP on a nationwide level allowing users to retain their mobile numbers even when they shift to a different state/telecom circle. India has 22 telecom circles. 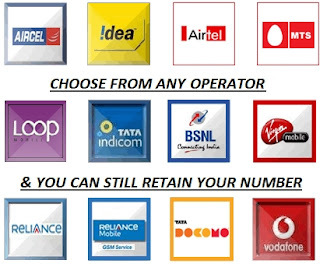 According to Trai, by the end of October 2012, about 75.14 million subscribers have submitted their requests to different service providers for porting their mobile number. In the month of September 2012, total number of subscribers who have submitted their request for MNP stood at 5.36 million. Mobile Number Portability is a facility which enables mobile users to retain their Mobile Number when changing from one mobile network operator to another operator, where the user not worried about the change of mobile number.